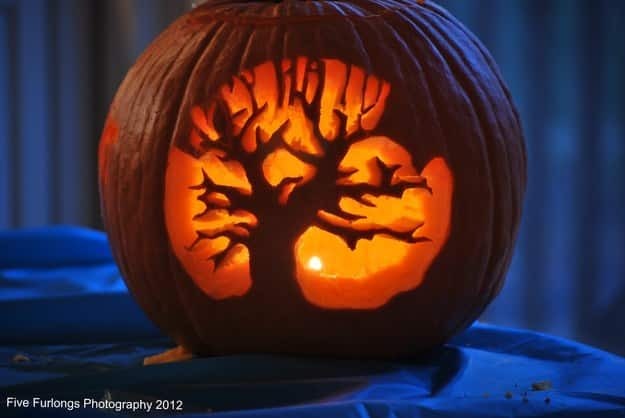 It’s that time of year again when you get out your carving tools and start carving out that pumpkin! 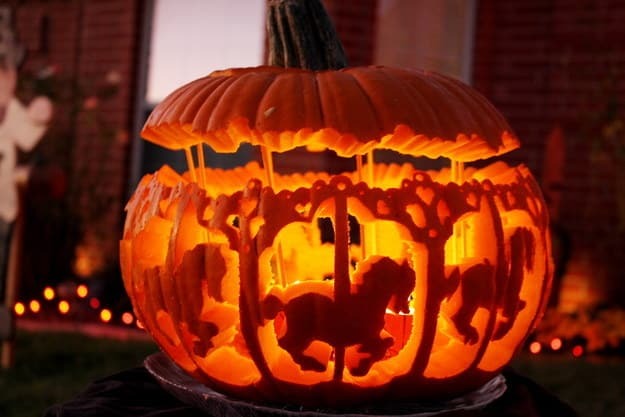 Halloween is such a fun time of year, if you’re front porch is doesn’t have a pumpkin carving this year – you’re missing out! You maybe looking for a Halloween party costume and the cat might be refining it’s broomstick riding skills or just taking it easy by the witches cauldron. 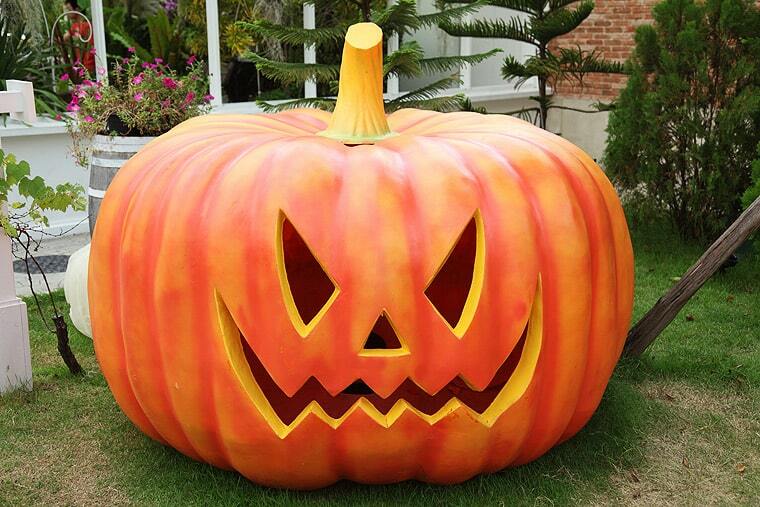 One thing you cannot neglect on Halloween however is the superbly stylish carved Halloween pumpkin. 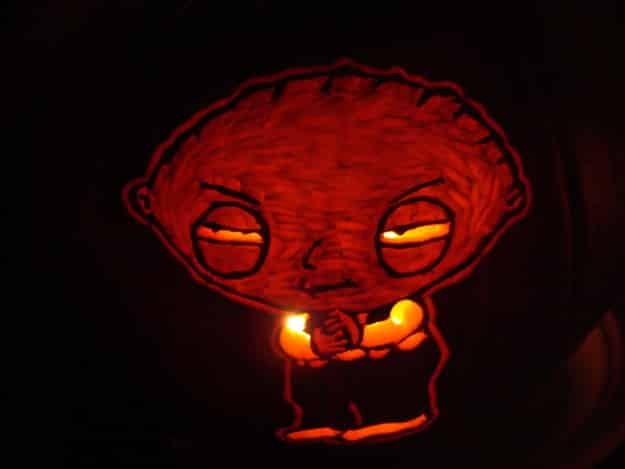 Pumpkins look amazing by candlelightÂ and good healthy pumpkinsÂ can last several weeks before they droop and sag. 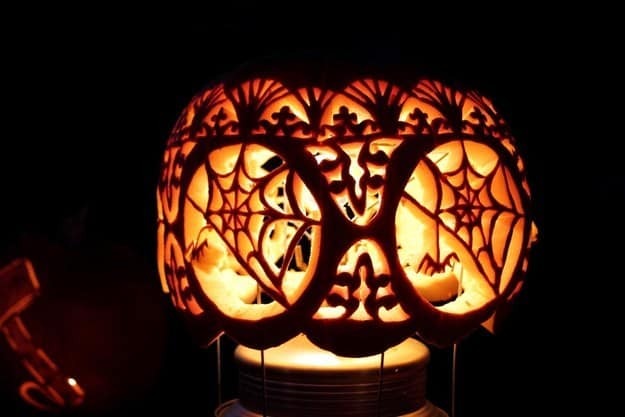 This means that you can start designing the Halloween pumpkin now and it will last until the scary day itself. 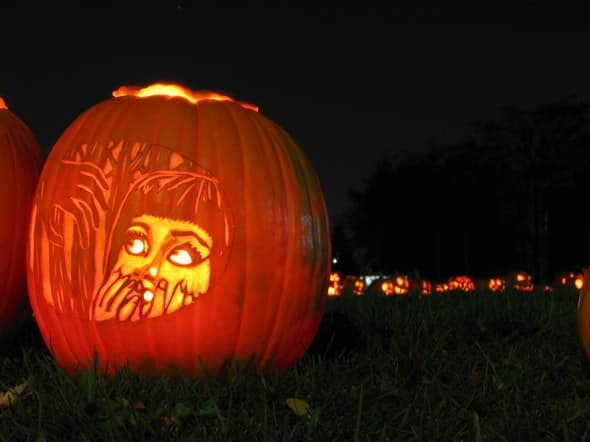 So in this special Halloween themed design feature on DesignBumpÂ we’ll be showcasing some of the coolest, spookiest Halloween Pumpkin Carving Ideas! 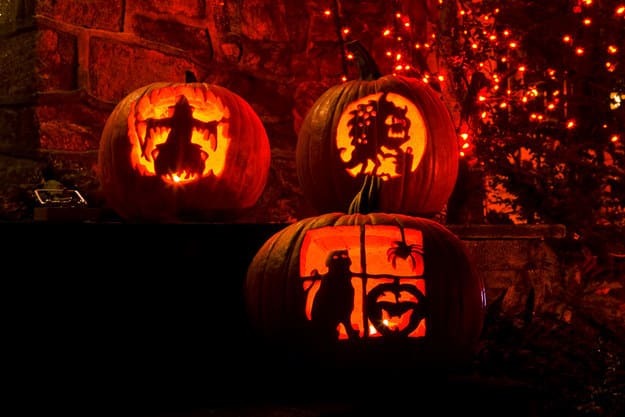 Pumpkin designs such as super scary and creepy Halloween Pumpkin carving ideas likeÂ Freddy Kreuger from The Nightmare On Elm Street Pumpkin carving, a mildly terrifying monsters pumpkin carving or for Walking Dead lovers an apocalyptic zombie engraving! LEAVE!!! 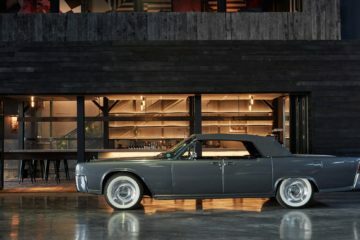 Leave the porch now!! 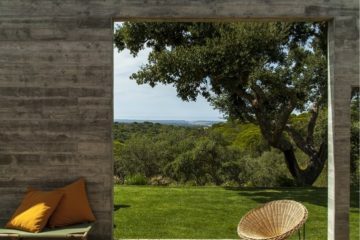 Made by fairy hands, inhabited by fairies. This stupidly adorable etching of Pusheen the cat. 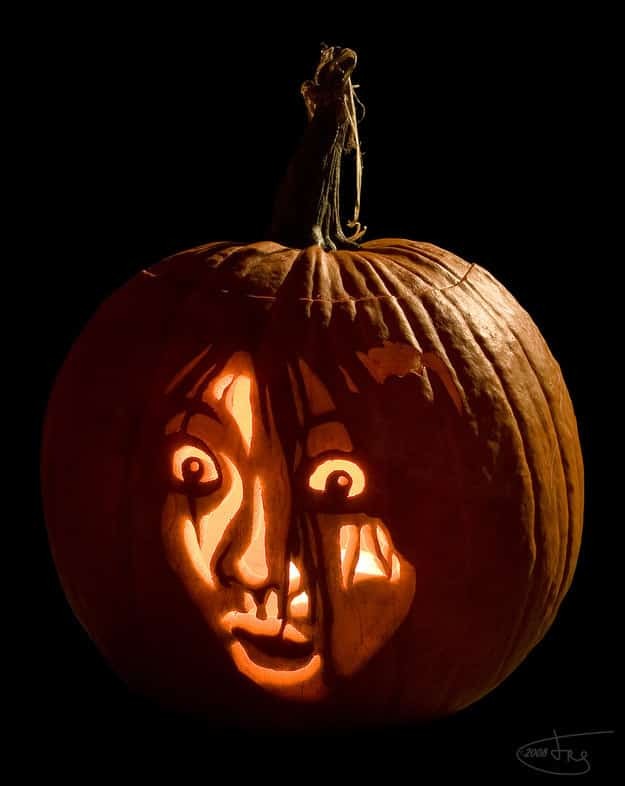 This ornamental witchesâ€™ carving fantasy. This v accurate cat faces. This spooky-romantic scene from The Nightmare Before Christmas. 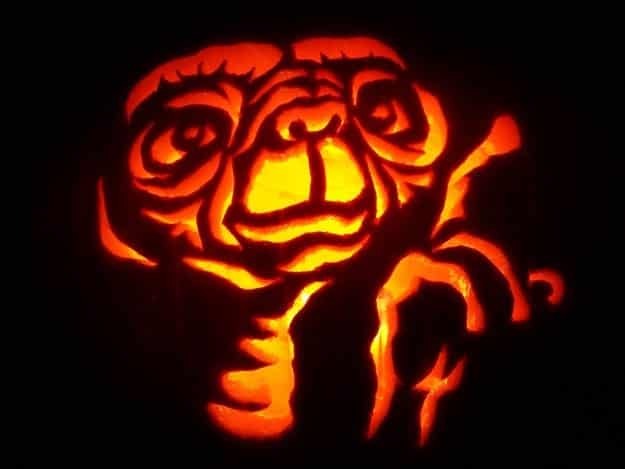 This Halloween fetus thatâ€™ll exist Jackâ€™s womb when the clock strikes midnight. Groot and Rocket in full force epicness. The doomed movie extra whoâ€™s always first to go in a horror film. This The Poltergeist scene thatâ€™ll conjure spirits to your lawn. 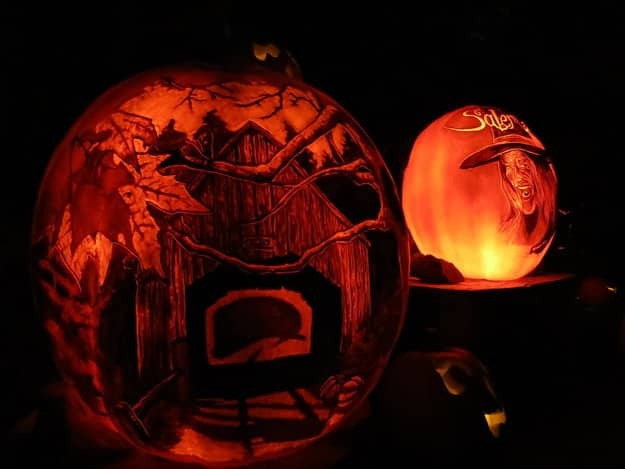 These insanely precise scary Pumpkins. 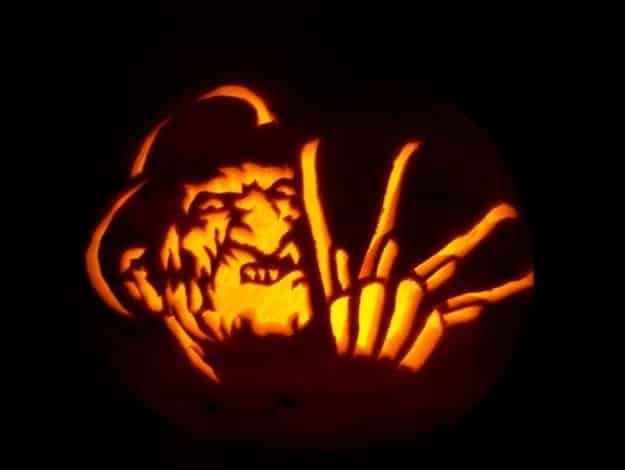 Freddy Kreuger from The Nightmare On Elm Street. Keep kids far away and all the candy stays. 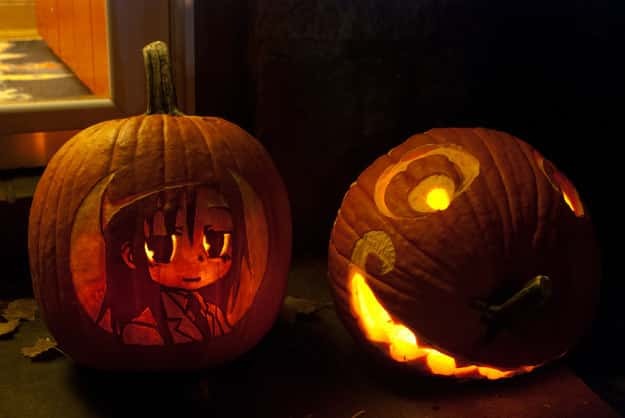 Agiri Goshiki and pumpkin Cheshire cat. Unusual pairing, but hey, anything on Halloween goes. 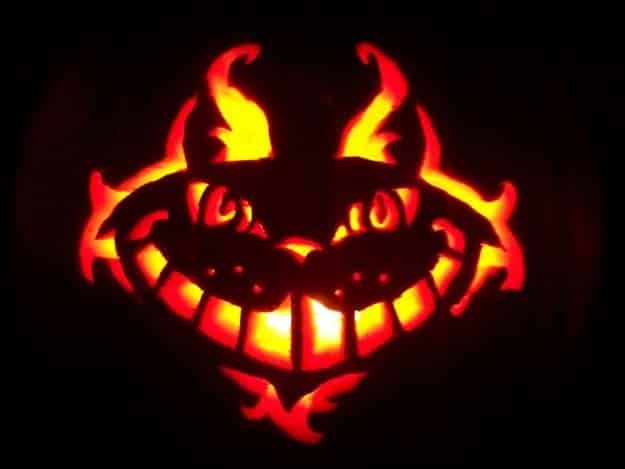 This Cheshire Cat thatâ€™s come to haunt your dreams. This surreal jellyfish brain globe. This spiky pumpkin that welcomes the start of lifeless and cold winters.